Google entered into the Cloud sphere in 2008, when the cloud computing discipline itself was in the primitive stage of development. There were only a few players in the cloud industry at that time that are still continuing their course even today. 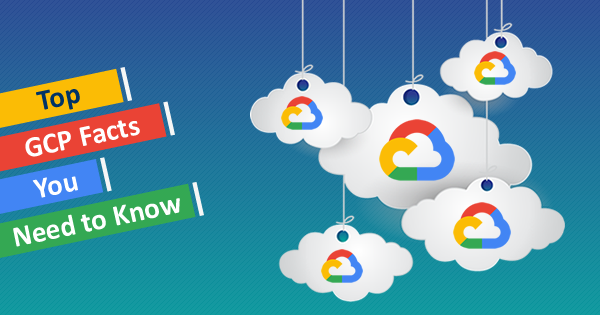 Unlike many of its competitors, the main feature of Google Cloud Platform (GCP) is that it uses the same infrastructure that Google uses for its products such as YouTube and Google search. Google Cloud Platform provides serverless, platform as a service (PaaS), and Infrastructure as a service (IaaS) services to organizations and end users. 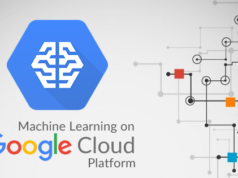 Altogether GCP is a part of Google cloud which contains various Google services like G suite, APIs for machine learning, enterprise versions of Android and Chrome OS etc. along with GCP public cloud infrastructure. It would be quite interesting to know the common GCP facts if you are intended to adopt this platform for your business or to build a solid professional career in this area. So, let us discuss the top 10 GCP facts that you should know in 2019; these facts will equip you with the latest changes in this technology sector. If we take a Google cloud platform overview, we can see that it follows a hierarchical folder system in its organizational structure where each folder acts as nodes in the Cloud platform resource hierarchy. Here, a folder can contain multiple projects, other folders or both of these. In an organizational design, these folders allow you to group different GCP resources on a department basis. Resources that share common IAS (Identity and Access Management) policies will be grouped up in these folders. If you want to set up permissions on GCP at a broader level, you need to grant the entire domain of the Folder Viewer and Organizational Viewer at the organizational level. Also, in order to restrict the visibility of items in your folder hierarchy, changes are needed at the Folder Viewer role. Assigning folder specific IAM roles to specific user groups is important to access and manage folders in Google Cloud Platform. For that, you need Folder Admin role. This allows you to create, edit, move and delete IAM permissions on folders in addition to moving projects between folders. Here, billing starts with a 10-minute minimum and the sustained discounts begin after a specific period when the instance is used more than 25% of a month. Once the user reaches a 25% mark, she/he will receive a discount for each incremental minute used. Some GCP facts can be a little bit complicated to people, especially who have some background knowledge of other cloud services. Having two unique tools for big data processing is one of those confusing facts about Google Cloud Platform. The availability of these two tools is a supplement to GCP full big data solution. Out of these tools, the first one is BigQuery that let users run SQL-like queries on large amounts of data. In addition to that, you have the option to load your data in large quantities directly from your Google Cloud. The second tool is Google Cloud Dataflow. Its function is for helping you to create, analyze, and extract insights from a data processing pipeline. Google’s MapReduce can be considered as the predecessor of this tool. Ever heard of this? This popular name points to one of the hidden Google Cloud Platform facts. It is the name of Google’s network virtualization stack. According to Google official Amin Vahdat, it is a software-defined networking based substrate to support Google’s visualization efforts. It adds as it’s the orchestration point of managing, configuring, and provisioning virtual networks along with in-network packet processing. All of the GCP network tools and services are based on this visualization stack. It is not a product that the cloud customers of Google can sign up. Also, API developers won’t have access to directly write to it. While considering the vital Google Cloud Platform facts, the name Kubernetes may come on the top. This system can help you to automate deployment, scaling, and management of containerized applications and many more. You can manage containerized applications across multiple hosts using this system. Google Container engine also known as KUBERNETES, allows you to achieve resource efficiency, operation automation, developer productivity, and open source flexibility by improving the acceleration of your time to market. You can’t label this system under one of the latest GCP facts as it has been here for the last 15 years. However, in a general google cloud platform overview, it’s a must to mention the importance of this application in Google Cloud Engine. While talking about the facts about the Google Cloud Platform, there has been always questions regarding the overall market share of Google in the cloud space. According to Canalys study, Google cloud remained on the 3rd position on the worldwide cloud infrastructure service providers’ market share in the 2nd quarter of 2018. AWS and Microsoft Azure holds first and second positions respectively. GCP’s incredible growth of around 89% in this quarter is another remarkable factor for the increasing adoption of Google Cloud services by various businesses. There are many basic things you should know about GCP before getting into the details of it. How the new features are released to the public is one of them. In contrary to other top cloud services like AWS, Google Cloud Platform’s new features are usually released to the public with very high quality. Sometimes in the case of other cloud services like AWS, the standard of production readiness may vary on the public release. On the other hand, these features may stay in beta for a very long time before the final public release. One of the distinguishable facts about GCP is that most of the GCP resources have either global, zonal or regional scope. This is applicable to different GCP resources like Global load balancing, VPC networks, network configuration, disk images, storage buckets etc. The resources such as images, addresses, snapshots, VPC network, firewalls, instant templates, routes, and global operations have assigned global scope. The regional scope is assigned for resources like subnets, regional managed instance groups, regional persistent disks, and regional operations. The zonal scope is assigned to machine types, zonal managed instance groups, per zone, and similar operations. In the case of Amazon Web Services, the entire scope is either local or regional. Optimal configuration of networks and setting firewalls are essential for any cloud computing system. While analyzing the general GCP facts, you can see how seamlessly these elements are simply integrated into the Google Cloud Platform. In terms of networks, Google follows a global configuration where inter-region communications are allowed with no extra setup costs. It offers VPC (Virtual Private Cloud) to provide networking features to compute engine VM instances, app engine flex reflexes, and GKE clusters. It provides both scalability and flexibility to your cloud-based resources and services. Whatever GCP facts we discuss, our debate won’t be complete if we skip GCP facts related to security. When we think on facts about GCP security, it must remember that Google implements its own proprietary security model that has been here long before the GCP launch. There are many unknown GCP facts on its security features. In general, GCP follows a shared responsibility model where Google is responsible for physical as well as infrastructural security along with instant isolation. End users are responsible for whatever things are placed over the cloud, data or applications. As compared to traditional on-premise security systems, you can rely more on GCP in security matters – as it offers the same security infrastructure for organizations and its end users. Going for Google Cloud job interview? Prepare yourself with these top 30 Google Cloud interview questions and get ready to ace the interview. We think we have covered most of the things you should know about GCP or the common GCP facts that distinguish Google cloud from its competitors. It doesn’t mandate that you need to choose this cloud platform for your business by seeing these GCP facts. 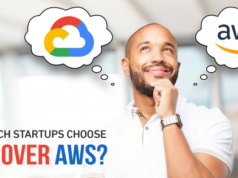 Of course, there are certain pros and cons associated with each cloud platform. Google cloud is not an exception to this. 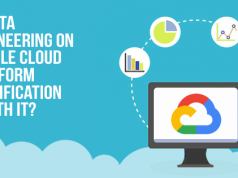 However, if any these features seem relevant to your business objectives, you can think about moving your business operations to the Google Cloud platform. If you are a cloud architect working on the Google cloud platform, then you should validate your skills with Google Cloud Professional Cloud Architect certification. Start your preparation now with the Google Cloud Certified Professional Architect practice tests. Google Cloud Platform is continuously beating the cloud marketing competition. So, become a GCP professional and beat the struggles of career! Is Data Engineering on Google Cloud Platform Certification Worth It?